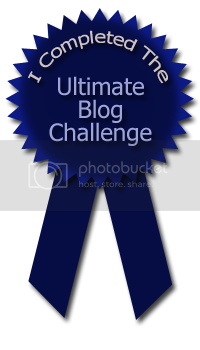 I realized that I have become very slack in posting so I thought I would sit down and wrap up what I have done over the last several days. 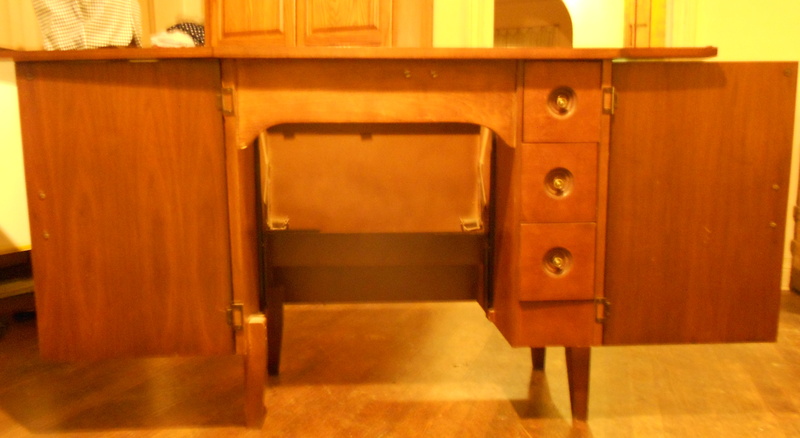 First off Mother’s Day was terrific at my house, As you may remember the girls had gotten me the vintage sewing machine cabinet. 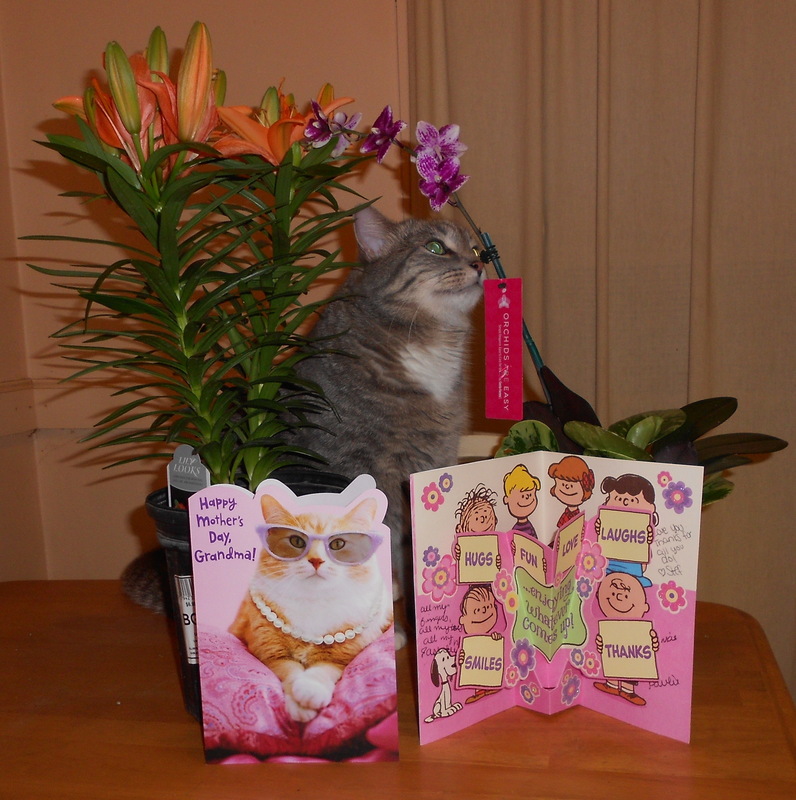 But they surprised me with plants and cards. What a great pair of ladies! When the youngest handed me the Grandma card I was kinda shocked since I don’t have grandchildren. But it turned out to be from my Grand Kitties. Thank goodness! They fixed my favorite meal for brunch. Chili Dogs! Yeah, I eat like a 10 year old. And my other half bought me a wonderful China cabinet. Don’t get excited, he didn’t pick it out ( I did ) and it wasn’t his idea but he did gather friends and got it set up in the dining room. Plus he paid for it! It is perfect, My Kitties, Markie and Paulie approve and I was finally able to get my Blue Heaven Dishes out of a box and properly displayed. 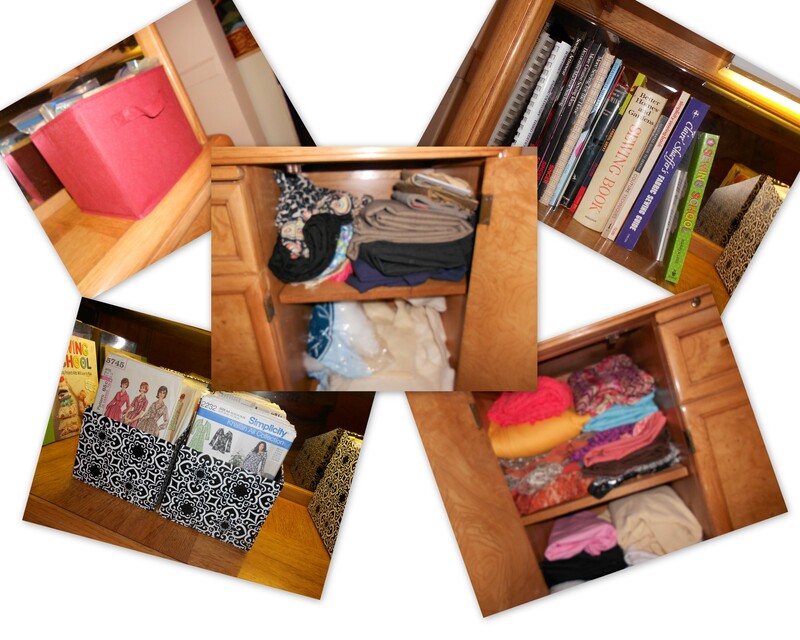 Plus this cabinet is now doing double duty, I am using the lower half to store a lot of my fabric in the cabinets, my books, patterns and other important sewing stuff on the shelf. I have finally gotten rid of the plastic tubs that were on display in my living room! 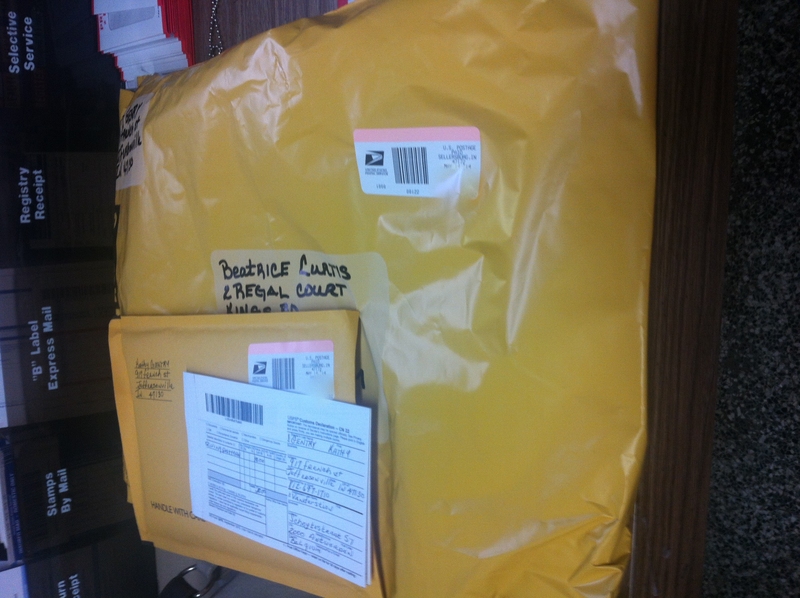 Plus all ‘Giveaway’ fabrics and patterns are packaged and shipped! Now I have to get started on the Bombshell Bathing Suit! 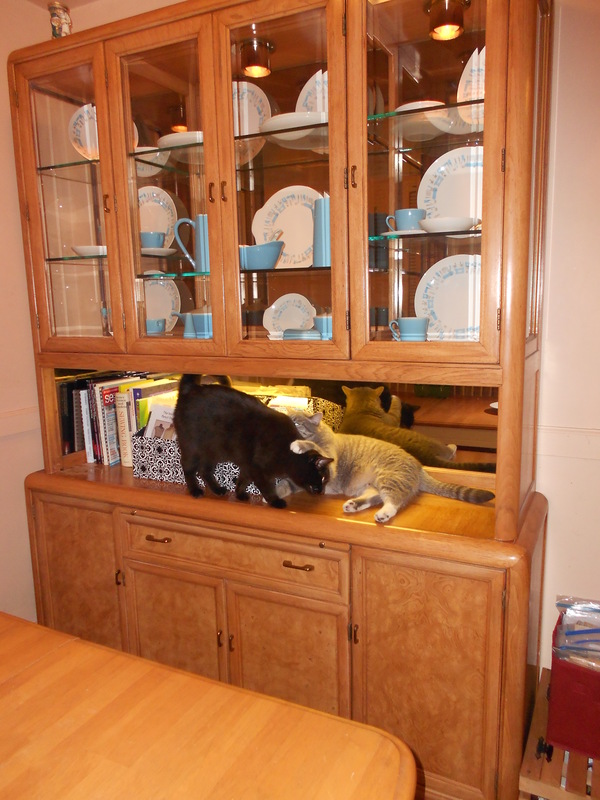 Lovely china cabinet. Does that mean more fabric? That grandma card would be something my kids would do. I didn’t notice the cat in the flowers at first! They are lots of fun, aren’t they! Looks like you have had a nice week. 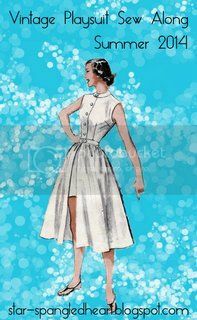 Happy Sewing to you too! I did the same thing as your kids. The bunny picked his grandma up a perfume gift set for Mother’s day. 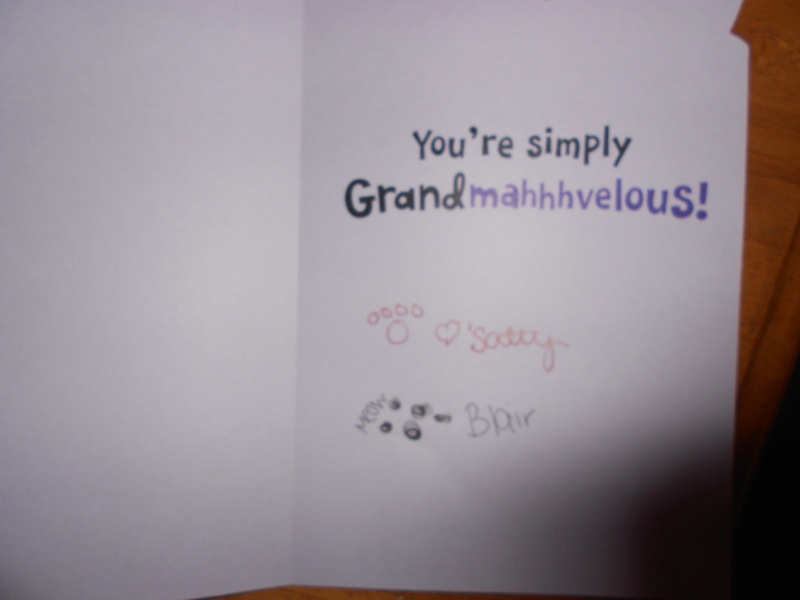 My mother’s grandpets always sign cards for her–I’m glad I’m not the only one who does that! =) Your new cabinet is awesome; how perfect that it allows you to display AND store things, too. (Plus it’s clearly been cat-tested and approved…) Glad you had a good Mother’s Day! 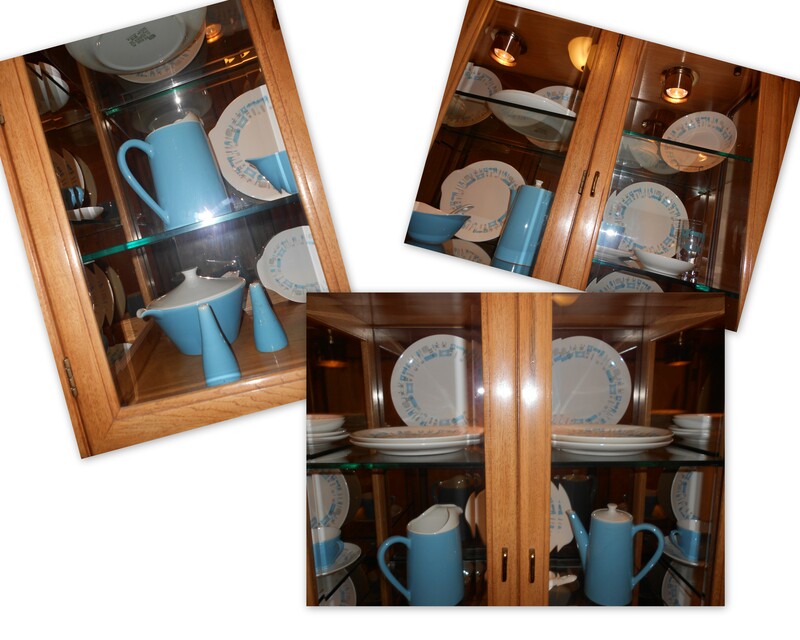 The dishes look fantastic in this China cabinet. 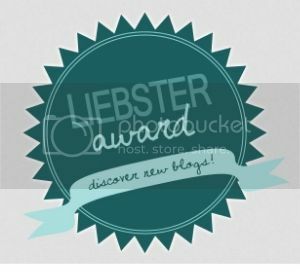 You are so nice busy… SUCCESS!